Yellow, originally uploaded by johnwmacdonald. 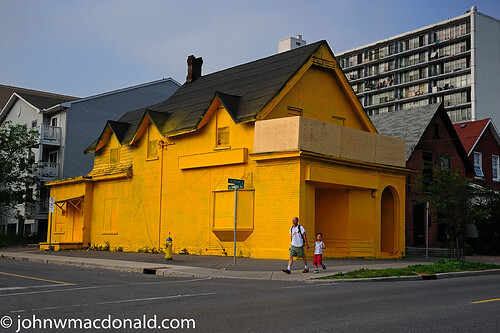 I read the post this morning on Greater Ottawa blog by David Reevely of the Ottawa Citizen where he mentions the yellow spray painted house. Check out the brief article by Mohammed Adam of The Ottawa Citizen.